Right, let’s assume I’m not going to finish any more books between now and the end of the year. What a ridiculous assumption. Anyway, here’s my 2014-in-reading wrap-up (which won’t cover the books I read between now and the end of the year. I promise to update you if any of them are earth-shattering). 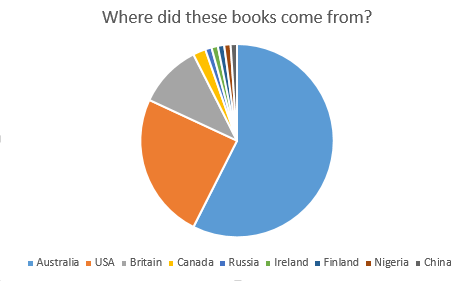 This year I started reading 95 books and got to the end of 87 of them. Nineteen of them were published in 2014. 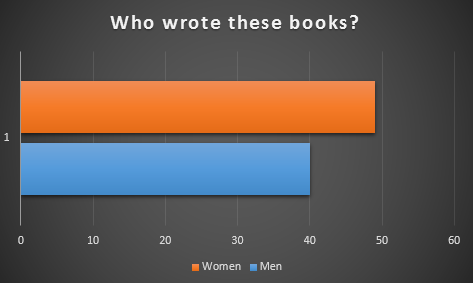 For most of the year I was doing the Australian Women Writers Challenge (my wrap-up of that is here), which made a lot of difference to what I read. I was also in a slipstream book club, shortlisted for two prizes which meant I wanted to read the other shortlistees, concerned with climate change and shipwrecks (thanks to books I’m working on), and a few weeks back I signed up to TBR20 (more on that here). Cold Light by Frank Moorhouse – there’s not much I like better than the Edith Campbell Berry trilogy. Most of those ‘real’ books were bought at The Sun or Readings. Finishing 87 books in a year is a damn fine effort. I haven’t kept track of mine but it wouldn’t be anywhere near that many. Finishing 87/95 is also an impressive ratio. I haven’t read any of the books on this list – started Pale Fire but never finished it – but I like the sound of the Kolbert. Thanks for the tip. For what it’s worth the best books I read this year were The Old Ways by Robert MacFarlane and River of Shadows by Rebecca Solnit. I have read two of your top ten – Beloved which is an astonishing book, and one of the few non-Austen books I’ve read twice, and Cold light, which I also liked a lot. I have Gone in my TBR pile – a gift from my brother – but keep not getting to it. You’ve just increased the pressure. I also feel I should read Sea hearts, but I think Gone is higher on my list. Gone is brilliant, as long as you’re OK with ambiguity. Lots of ambiguity. Your pie charts are very handsome. 3D! I’m copying that for myself for next year. 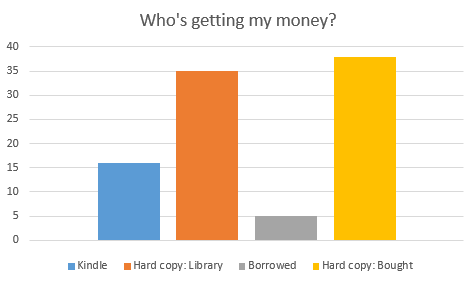 I like the chart ‘who’s getting my money. I’d like to chart that myself. Next year also! I didn’t finish pale Fire. I was intrigued but not gripped. Yeah, I’m not sure Pale Fire was gripping, but I was having a lovely time reading it so I just kept on going. I was going through one of those ‘bored with regular books’ phases. Awesome! 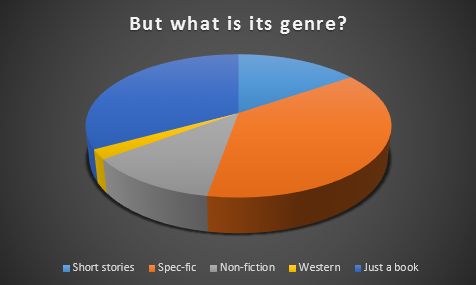 Next procrastinatory activity: make totally unnecessary pie charts about my 2014 reading too. I like the idea of the TRB challenge and at the very least am going to pull unread books off my shelf and see what the pile looks like! I suspect it will be largely non fiction, which isn’t very helpful as I am currently in a fiction-devouring stage. Mammoth effort! The pie charts are getting me all hot under the collar 😉 And oh, Sea Hearts … love. Sea Hearts is pretty much the best.